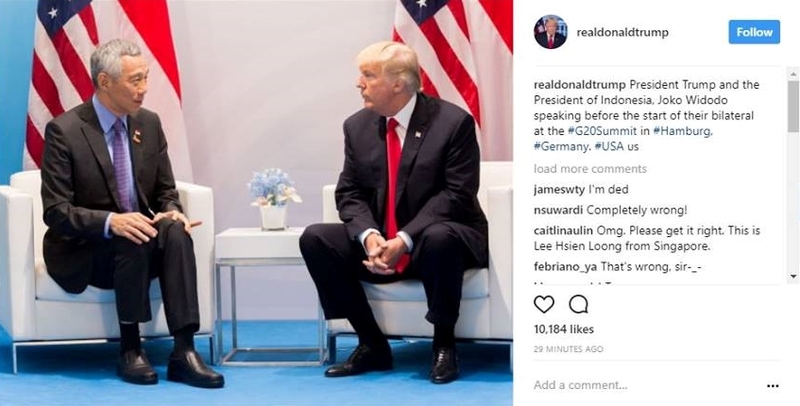 US President Donald Trump’s social media handles carried a photo of Trump and Singapore Prime Minister Lee Hsien Loong with a caption confusing PM Lee with Indonesian President Joko Widodo. 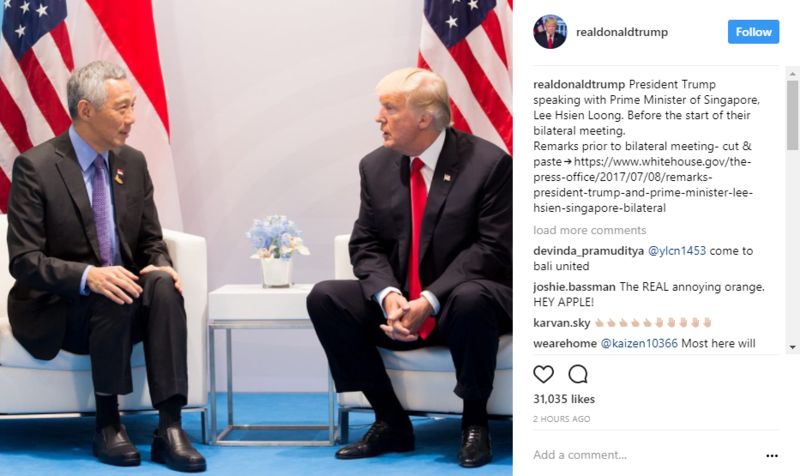 A snippet of President Trump and PM Lee’s pre-talk conversation was released on the White House’s website. 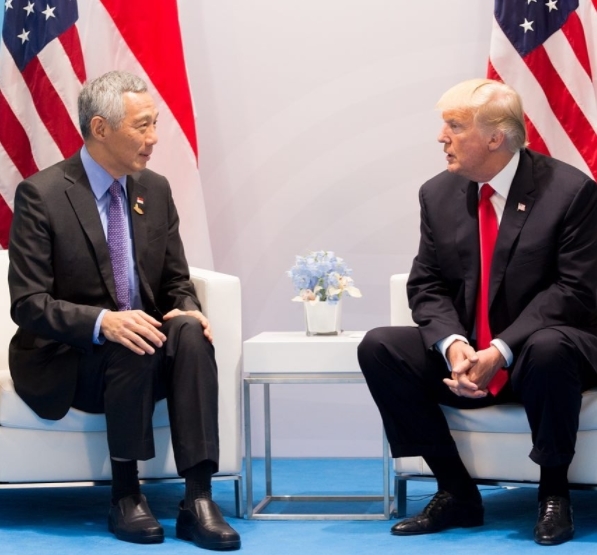 In the transcript, the POTUS emphasised that the US is very close with Singapore and PM Lee responded that Singapore hopes to do more under the President’s administration. PRESIDENT TRUMP: Thank you very much, everybody. The Prime Minister of Singapore — we’re very close, the relationship is very close, and we expect to do some excellent things together in many ways. And we have a very big relationship now. It will probably get much bigger. And I thank you very much. Thank you. PRIME MINISTER LEE: Well, thank you, Mr. President. We have many things going on with the U.S. and we hope to do more under your administration.